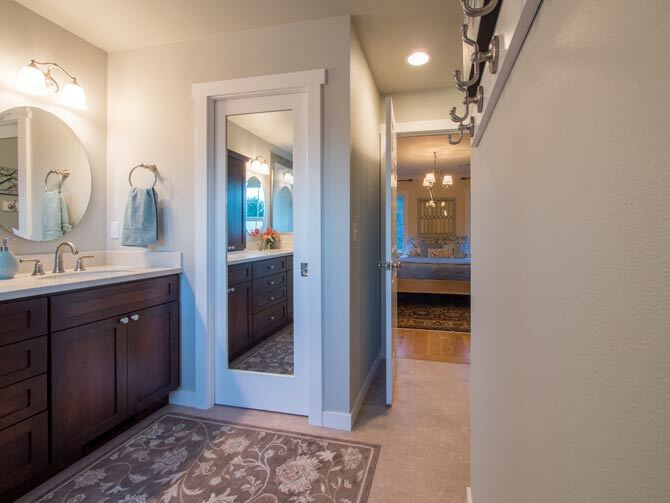 There was literally nothing to recommend about this master bathroom. 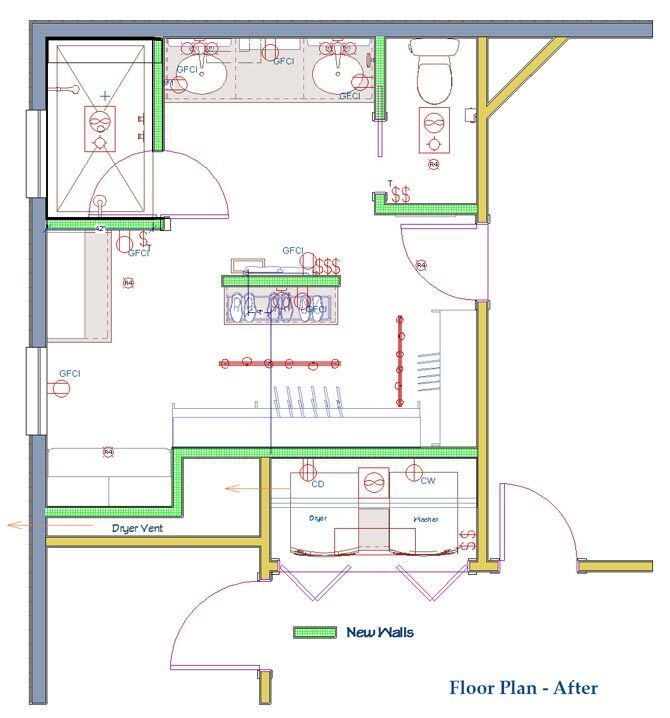 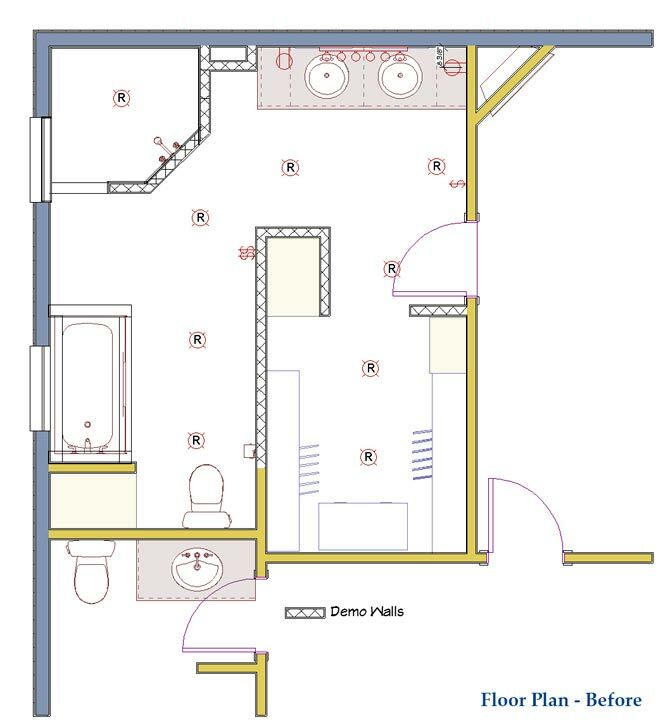 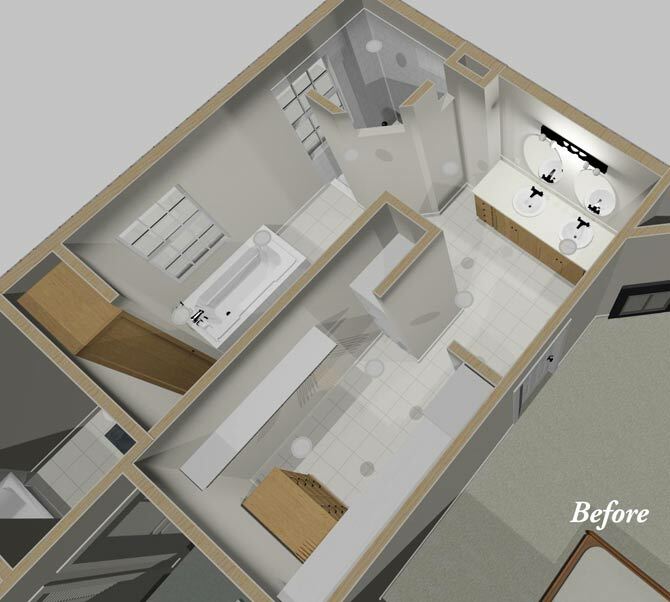 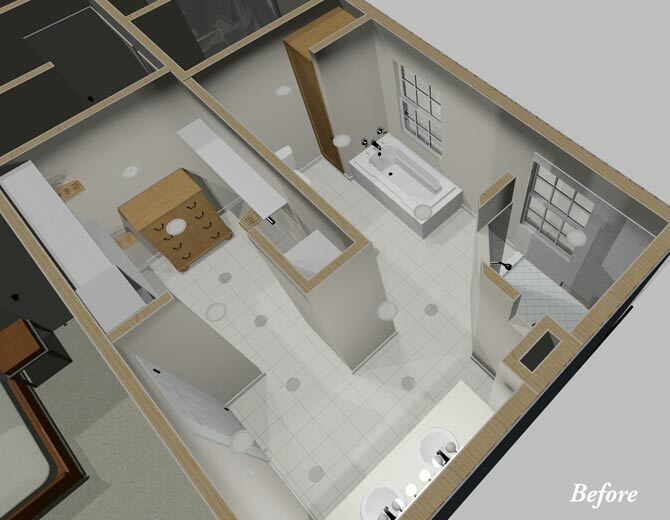 The floor plan was awkward with the toilet over thirty feet from the bedroom door, sitting in the corner completely open to the room (see 'before' floor plan). 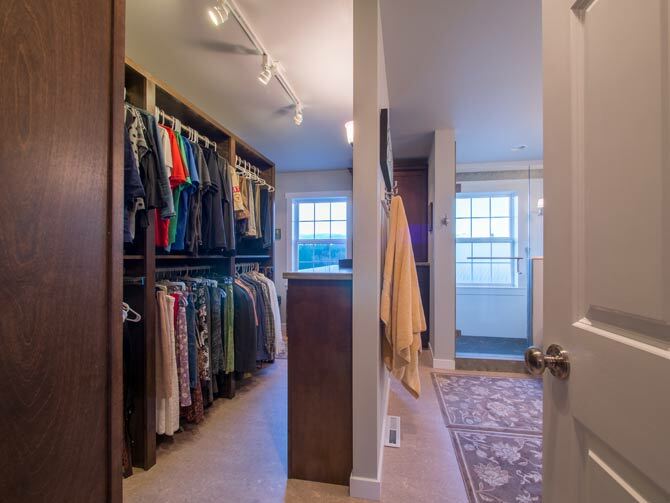 There was virtually no storage and a ton of open floor space. 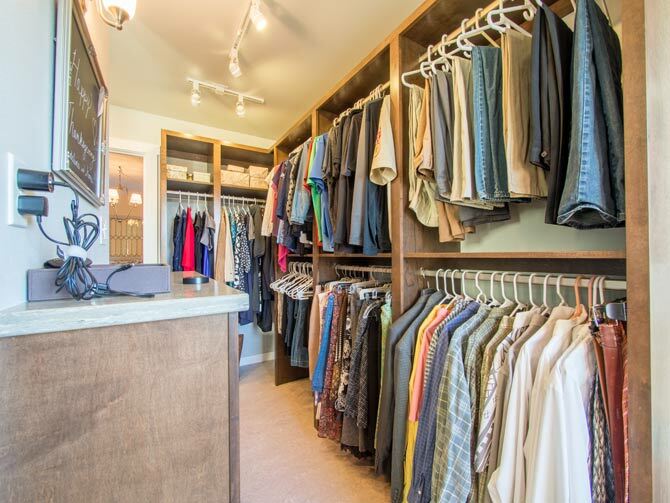 Lastly, the clothes closet was land locked with no natural light or proper ventilation. 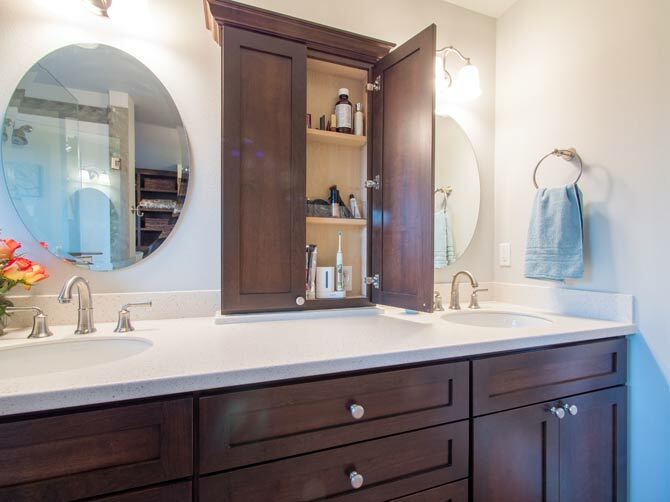 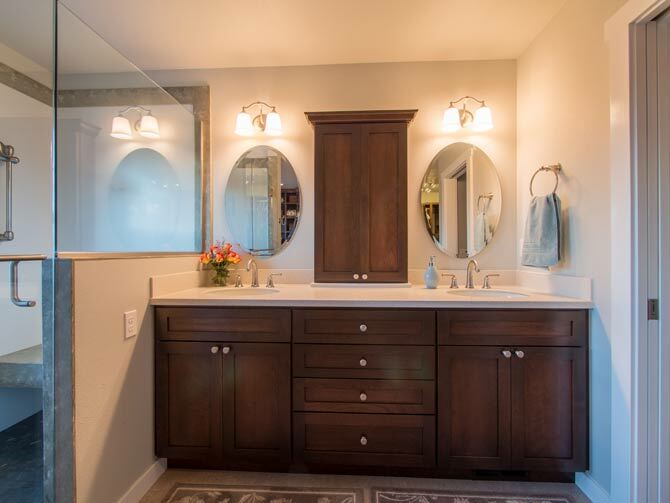 The Homeowners requested a farmhouse styled bathroom that took advantage of the natural light, provided storage and included a separate water closet. 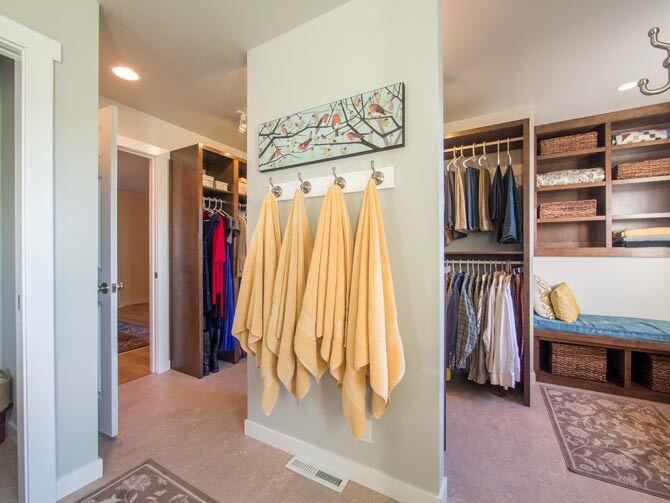 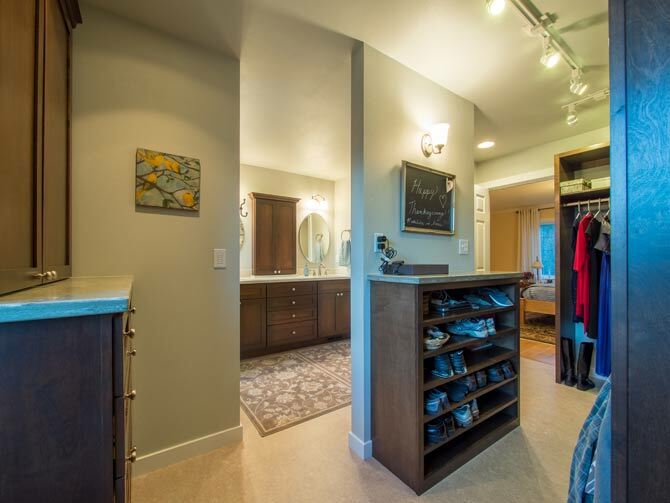 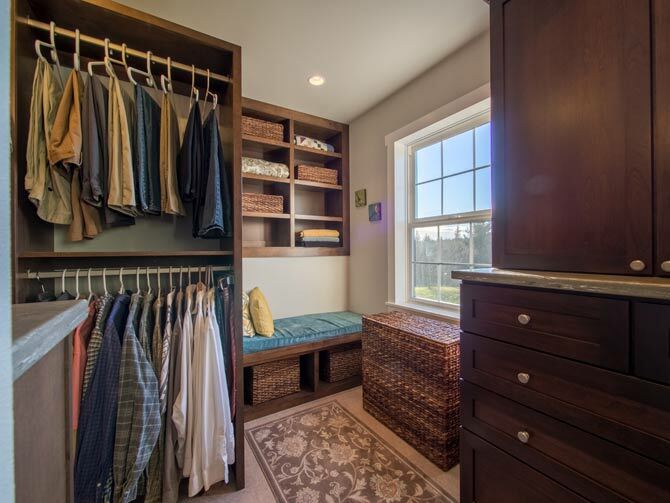 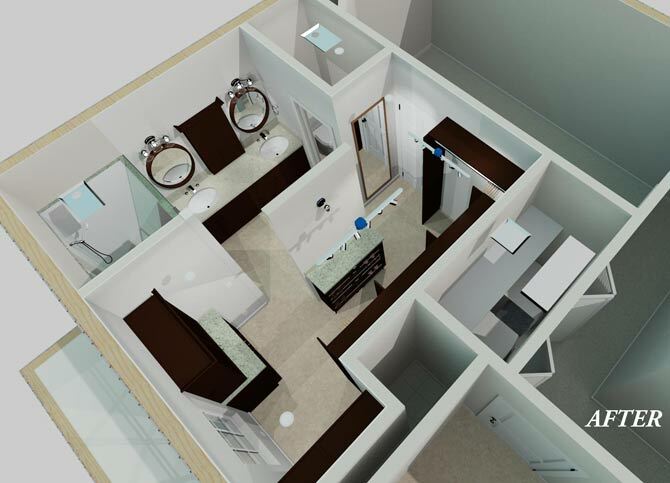 They also wanted better closet organization and room to move the laundry facilities to the second floor of their three story home. 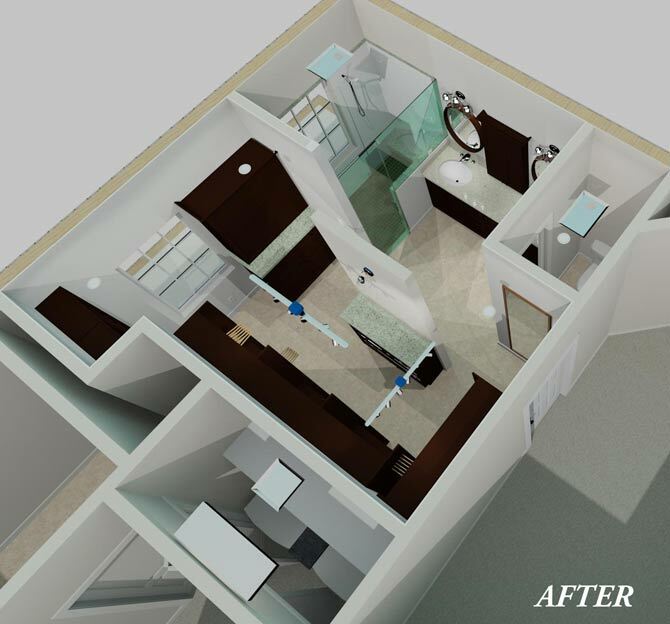 By gutting the entire room (including the wall to the second floor hallway), the space was reconfigured to provide all the amenities that the Homeowners had requested. 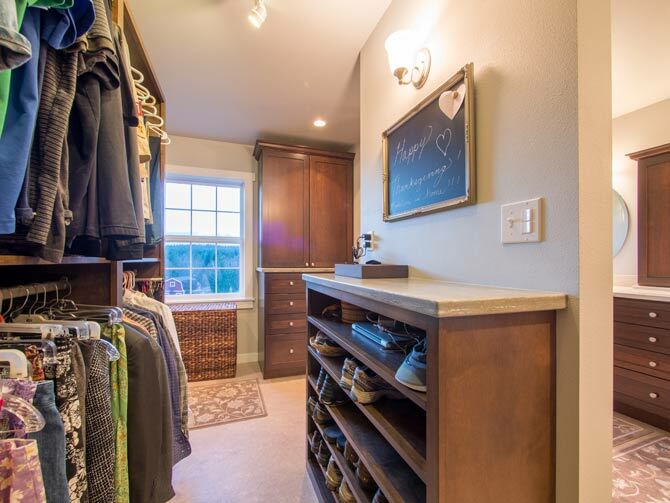 The new laundry closet faces the second floor hall for access by the whole family (ducting for the laundry closet exhaust fan and drainage for the washer overflow plan run behind the closet bench seat- see 'after floor plan'), the closet was relocated to take advantage of one of the two west facing windows, bathing the area in natural light and providing a means for natural ventilation while providing much desired additional storage for clothes and linens. 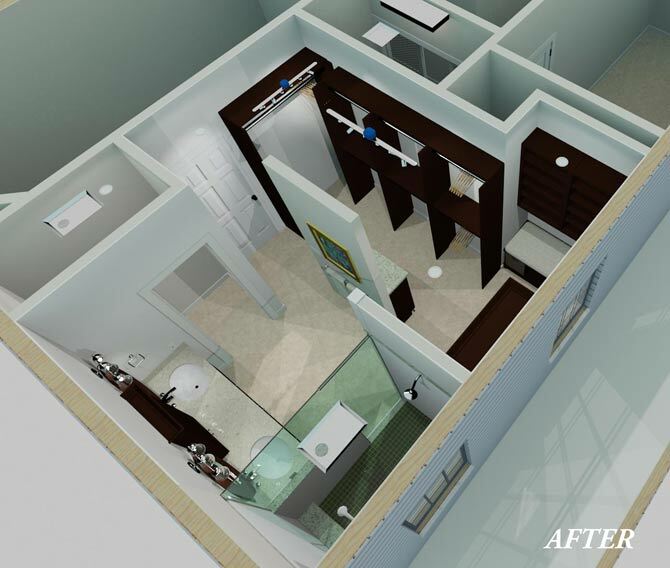 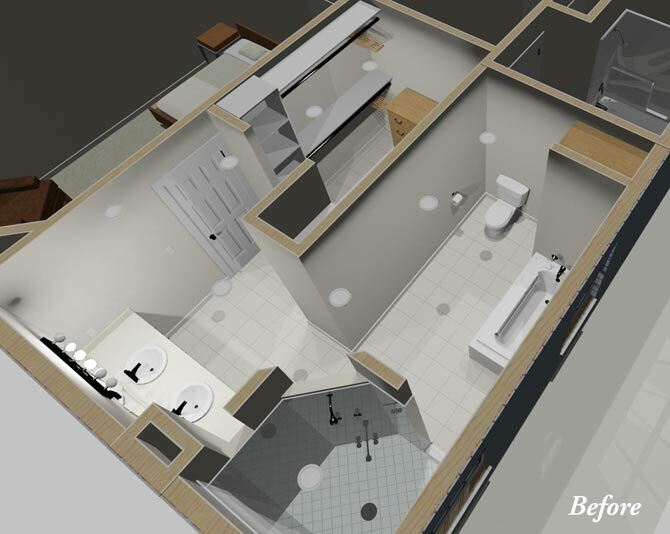 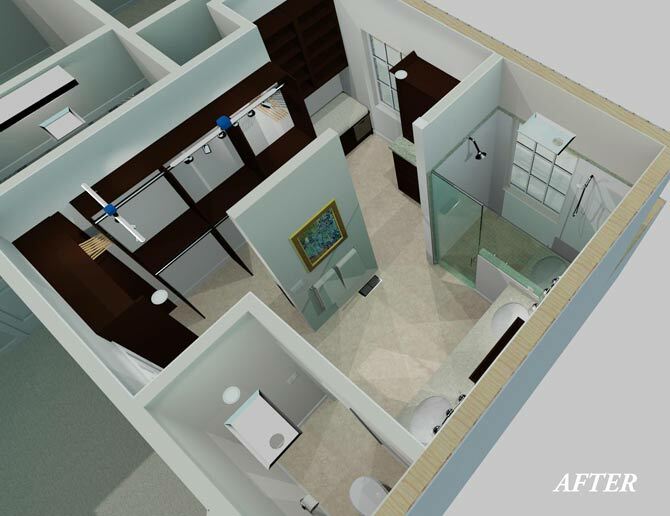 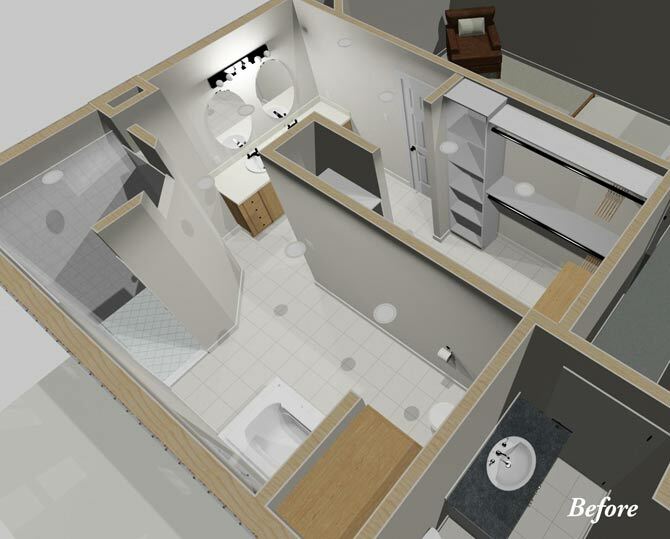 A partial devising wall was erected between the closet and the bathroom which provides functional flow to the two rooms but also a sense of separation. 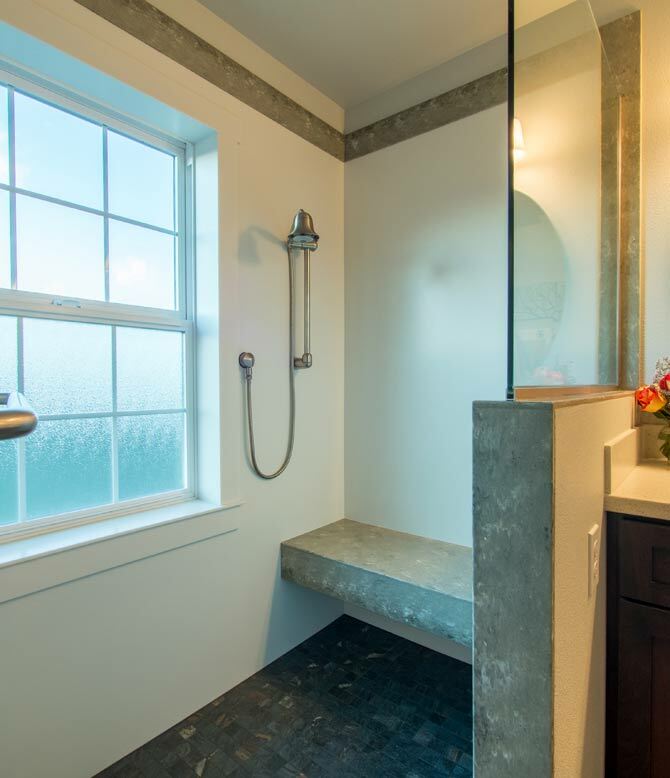 The shower was reconfigured, providing space for two shower heads for hectic mornings when two bathers need to shower at the same time (notice the solid surface molding around the shower window that mimics the wood molding around the closet window). 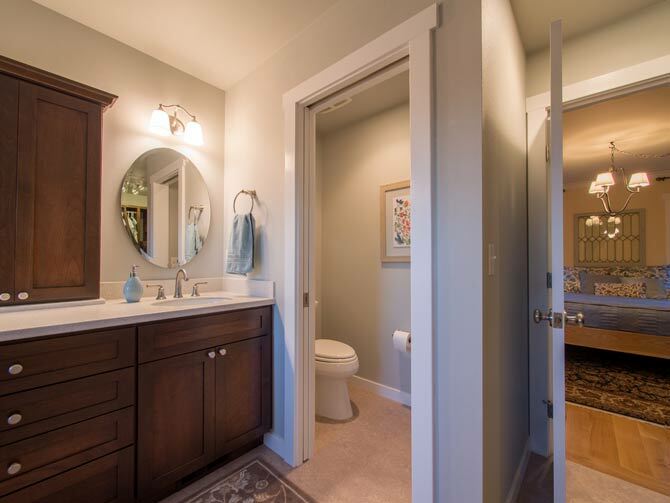 A built-in seat and blocking for a grab bar will help ensure that the home will accommodate the occupant's needs for many years to come. 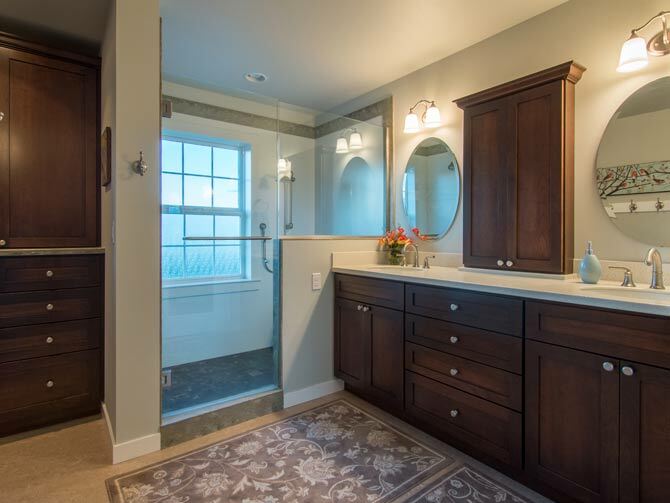 The window in the shower was replaced with privacy glass allowing natural light to flow towards the vanity.